Florence Holiday Apartments, Holiday Apartments, Vacation Apartments, Holiday Apartments Rentals, Vacation Rentals, London Apartments, vacation rentals, vacation homes in Italy, Spain, Greece, Belgium and more. Delighfully situated in the very heart of Florence, 50 meters from Piazza della Signoria and few minutes walk from Ponte Vecchio and Duomo Cathedral, IL LOGGIATO is a small, charming and quiet apartment, on 2nd floor of a XVII century building (no elevator), with all comforts and facilities to ensure our guests a relaxing and pleasant stay. Located in the historical center of Florence five minutes walk from Pontevecchio, this charming apartment ( on the fourth and last floor of an ancient XVII century building, no elevator) has all facilities and comforts to ensure our guests a pleasant and relaxing stay. But what makes LA VISTA unique is the marvellous panorama you have from its terrace: the nearby Palazzo della Signoria, with its high bell-tower, the Duomo, Santa Croce church and in fact the whole of the historical center of Florence. 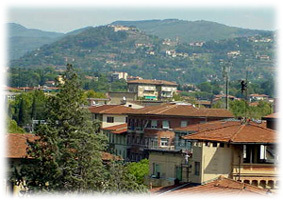 La Vista is located in the historical area of Florence just five minutes away from Pontevecchio. 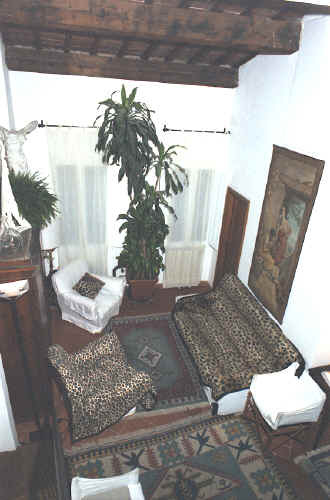 This charming apartment ( on the fourth and top floor of an ancient XVII century building) has all the comforts of home. 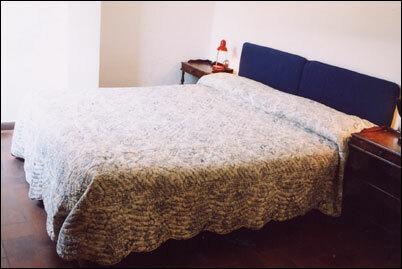 This charming Bed & Breakfast is lcated in the heart of Florence. It is in a part of the city that still retains the typical and traditional feel of Florence. Residenza Giulia is a spectacular Bed & Breakfast located on the top floor of a five floor building, (with elevator access). The view of the Tuscan hills is absolutely stunning.